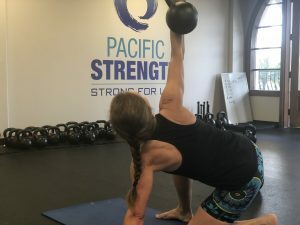 Those of you who know StrongFirst & who’ve read books by Pavel Tsatsouline, know that Pavel is someone who can get deep into the research side of strength training. He is also brilliant at simplifying that information so that we (the average Joe), can use that research to get stronger. In a world where everything seems to be getting more complicated, this type simplification is a breath of fresh air. Q: Hey Pavel, I want to get stronger. What do you recommend? Q: Hey Pavel, I want to lose weight. What do you recommend? Q: Hey Pavel, I need to increase my range of motion & joint mobility. What do you recommend? A: See an FMS specialist. Then start Swings & Getups. Q: Hey Pavel, I want to tone. What do you recommend? A: Toning is stupid. But if you want that, do Swings & Getups. The joke is that “Swings & Getups” are Pavel’s answer to every fitness question. Although it’s funny. & simple. It really does work for all of those things. Changing the intensity, the duration, the weight can achieve the desired results for anything you want to accomplish. Come talk to me or send me an email & I’ll give you a Swing & Getup plan to meet your needs! Better yet?… come to class all month – we’ll be breaking the turkish getup into parts so that by the end of the month, you’ll be an old pro!  Next PostTSC Training Starts February 19th!